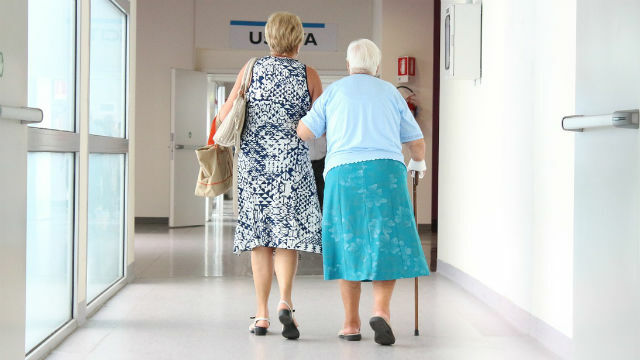 Researchers at the UC San Diego School of Medicine Wednesday released a study that found that women whose mothers lived to 90 years old are more likely to live to 90 themselves. The study, which appears in “Age and Ageing,” found that women whose mothers lived to 90 or older are 25 percent more likely to do the same without suffering from major illnesses like heart disease, diabetes and cancer. UCSD researchers used data from approximately 22,000 postmenopausal women who participated in the Women’s Health Initiative, a national study of major risk factors for chronic and major diseases among women. Researchers had no knowledge of the health or cause of death of the participants’ parents while conducting the study. But age is not the only factor, according to co-author Dr. Aladdin Shadyab, a postdoctoral fellow at the UCSD School of Medicine at the time of the study. The study did not find the same likelihood to be true between only fathers and daughters but if both parents lived to 90, the likelihood of the daughter aging in a healthy manner jumped to 38 percent. Researchers did not address aging effects on sons in the study. The women in the study whose mothers had lived to 90 were more likely to have a college degree, be married with a high income and maintain an active lifestyle and a healthy diet. While the researchers believe genetics, environment and behaviors passed from one family member to another all play a role in influencing aging outcomes, Shadyab acknowledges more study is necessary.